Almost all research university libraries in North America and Europe are members of OCLC and upload their library records into WorldCat. This makes all these library holdings findable for researchers anywhere in the world. Card catalogues used to be the primary method for keeping library records, but these have long become a thing of the past in most countries. In Pakistan the majority of libraries continue to use card catalogues and only a handful have switched to online databases. For those that have switched to online databases there is little familiarity with global standards to make records uniform and thus findable. Anyone having done research in Pakistan knows how difficult it can be to find what materials any particular library has outside of an actual physical visit to the library. Even then finding materials is often dependent on the knowledge of the librarian and necessitates sifting through card catalogues for hours on end. In the workshops my colleagues (David Hirsch at UCLA and Hameed Ahmad at the Library of Congress in Islamabad) and I conducted in Karachi and Lahore we provided librarians from universities, public and private, big and small, with the training needed to move their records from card catalogues to online databases and to do so in a way that is up to global standards established by the Library of Congress and the global library community. 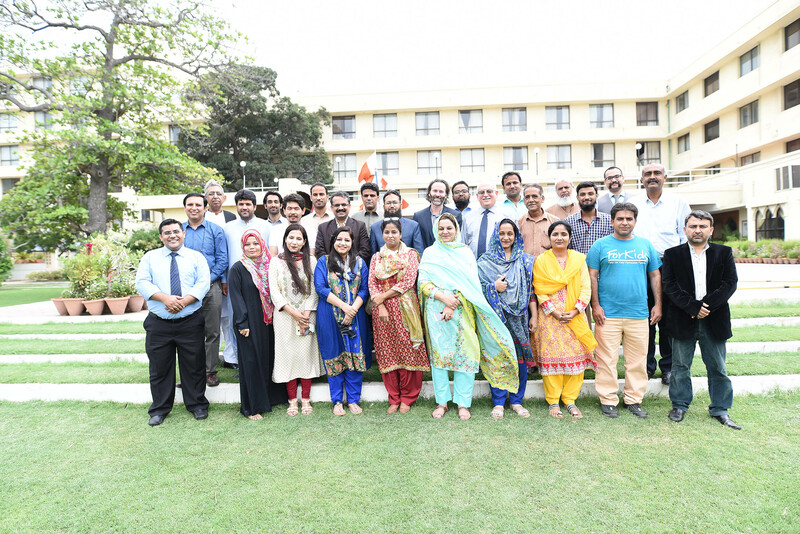 In the first workshop held in Karachi from July 24-27 more than 25 participants came from universities, libraries, and archives in Sindh and Baluchistan. In the second workshop held in Lahore from September 24-27, 35 participants attended from Punjab and Khyber Pakhtunkhwa. In both workshops we covered the following topics: 1) Libraries in digital age; 2) Online catalogues and searching; 3) Romanization; 4) Cataloguing; 5) MARC 21 format for bibliographic data; 6) Authority control; 7) Library of Congress Subject Headings; 8) Comparison of AACR2 and RDA; 9) BIBFRAME Initiative. In Karachi we worked with the Anjuman-e Taraqqi-e Urdu and provided the funds for them to hire a cataloger to begin the process of moving their records from card catalogues to an online database. This will serve as a pilot project to then be replicated at other libraries throughout Pakistan. For almost all the participants this was their first opportunity to attend such a workshop. They were able to connect with each other, form new networks, and lay out a plan to implement what they had learned during the workshops in their home institutions. Connecting them with the global research and library community provides them with the networks, tools, and knowledge necessary to implement the latest cataloging standards for their materials. The impact of this for researchers, library patrons, and the academic community in not only Pakistan, but also in the U.S.A. is tremendous. 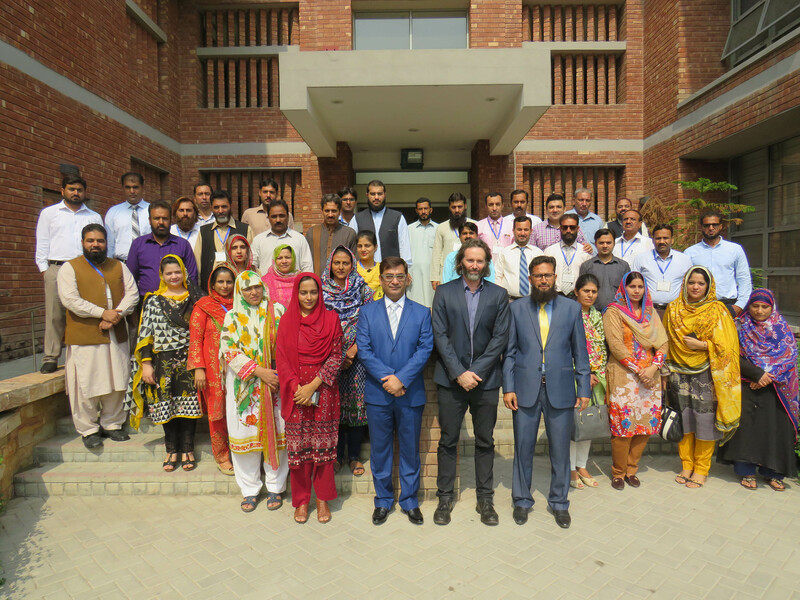 Since the foundation for robust research includes proper training for academic support staff like librarians, the workshop was an important step to empower librarians in Pakistan to bring their resources within easier reach of the global academic community and researchers in Pakistan. The participants exhibited great enthusiasm for the subject matter and expressed gratitude for the opportunity. They requested further workshops to enable them to continue the learning process. AIPS sponsored workshop “Cataloging of Archival and Library Materials” led by C. Ryan Perkins and David Hirsch, July 24 - 27, 2017, Karachi. AIPS sponsored workshop “Libraries and Cataloging of Materials in a Digital Age” led by C. Ryan Perkins, September 24 - 27, 2017, LUMS, Lahore.